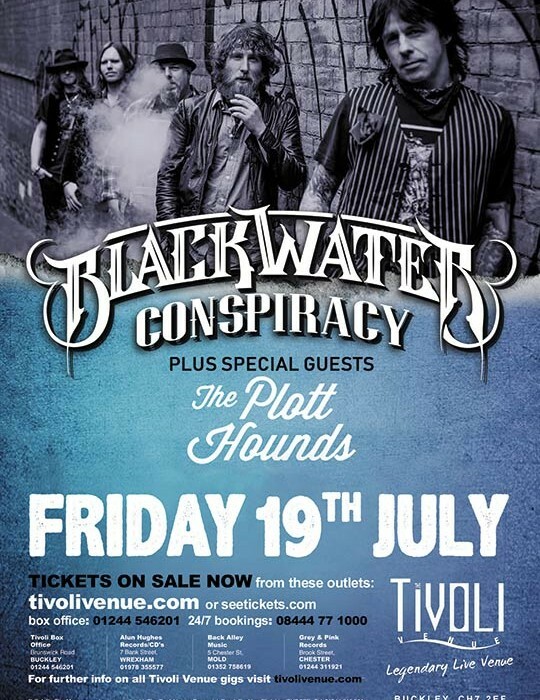 Ask anyone Irish and they’ll tell you music is in their blood, and so it is with Blackwater Conspiracy from County Tyrone, Northern Ireland. Songwriters Phil Conalane and Brian Mallon take a refreshingly free-form approach to their songs, thus allowing all this individual expression to take place. The result is a breathtaking panorama of material – from rich bluesy slide guitar rock to achingly delicate confessional country; from galloping radio friendly rock ‘n’ roll to late night dark corner whiskey blues. The band play with a confidence and effortless ease, the arrangements are epic and it’s all woven together with one of the most naturally expressive classic rock voices in the world today. They bring along their special tour guests The Plott Hounds. SKU: BWC_190719. Category: Blackwater Conspiracy Tickets. 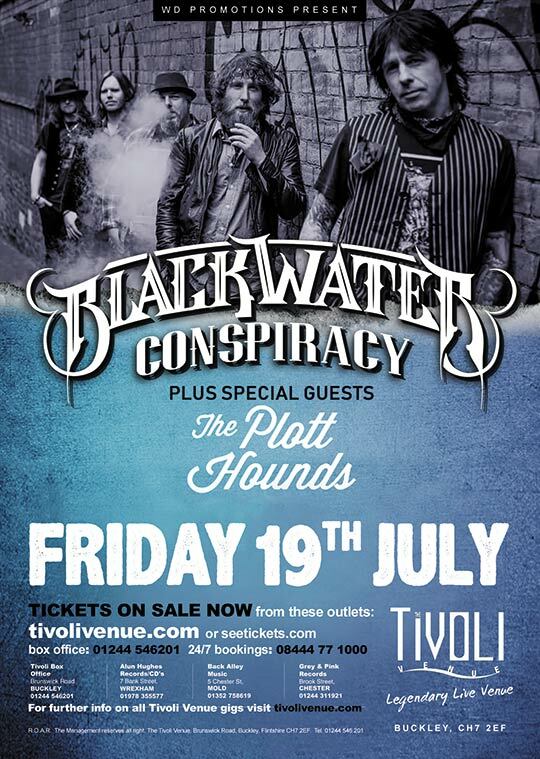 Tags: Blackwater Conspiracy, Blues Rock, Metal, Rock, The Plott Hounds.